McDonald's is found in an ideal spot at 180/182 Alder Road, a 2.04 mile distance north-west from the centre of Bournemouth, in Poole (not far from Bishop Aldhelm's CE VA Primary School, Talbot Heath and Langside School). The restaurant is fittingly located to serve patrons from the districts of Talbot Village, Rossmore, Canford Heath, Bear Cross, Kinson, West Howe, Bearwood, Branksome, Wallisdown and Winton. If you'd like to drop in today (Friday), its hours of operation are from 6:00 am to midnight. This page will provide you with all the information you need on McDonald's Poole, Alder Road, including the business hours, restaurant address info, direct telephone and more relevant info. McDonald's can be found in a good space in the vicinity of the roundabout of Alder Road and Bloxworth Road, in Poole, Bournemouth. Only a 1 minute trip from Winston Avenue, Barter Road or Alder Hills; a 4 minute drive from Kinson Road, Wallisdown Roundabout and Wallisdown Road; or a 6 minute drive time from Dorset Way, Mannings Heath Roundabout and Wessex Way. If you're traveling using Sat Nav systems, then the postcode BH12 4AX will bring you to this location. There are a number of buses that run directly to and from Dorset Knob and Alder Road/Sainsburys. The quickest way to get here is by services 15, 17, 417, 447, 703, 7B or Unibus U2. Trains travel daily to and from Branksome Station (1.13 mi) and Parkstone Station (2.09 mi away). Board the South West Trains line. Nearby there is Knighton Heath Industrial Estate, Arts University Bournemouth, Sainsbury's Car Park, Poole Retail Park, Talbot Campus Bournemouth University, Meyrick Park Golf Course, Branksome Recreation Ground, Coy Pond Gardens and Manorside Primary School. At this moment, McDonald's operates 5 locations in Bournemouth, Dorset. Browse the following link for an entire directory of McDonald's branches near Bournemouth. Please note: national holidays may result in changes to the regular working times for McDonald's in Poole, Alder Road. In 2019 these changes cover Xmas, New Year's, Easter Monday or Bank Holidays. 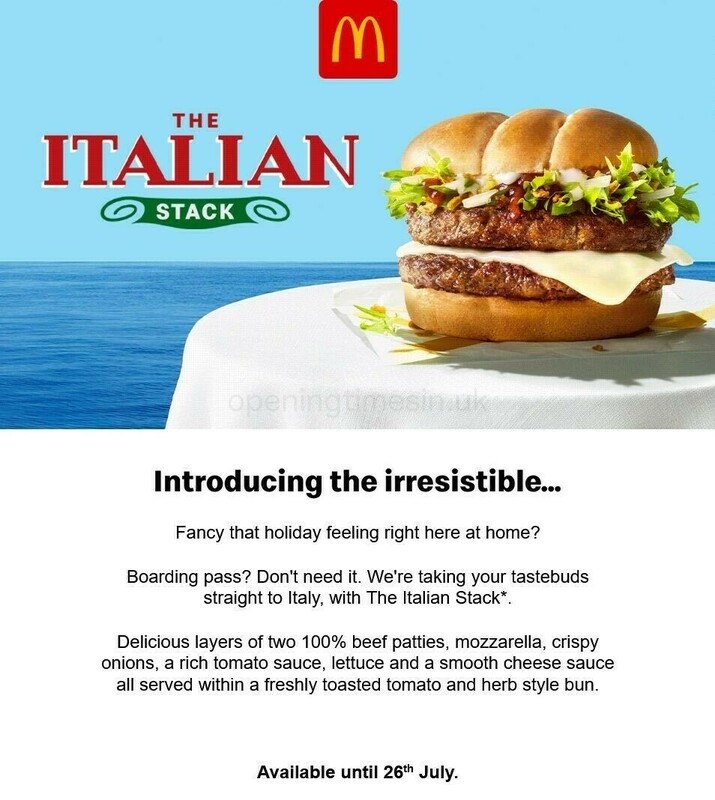 To get verified details about holiday business times for McDonald's Poole, Alder Road, visit the official website or call the direct contact number at 370 524 4622. It's Opening Times in the UK's main objective to supply you with the most up-to-date information. Please use this form to report any errors with the address or working hours for McDonald's in Poole, Alder Road. Please feel free to assist other customers by posting your thoughts on McDonald's in the form below.